Supply a range of products for hire & erect. We offer many options in order to tailor a solution as close as possible to your application needs. Our very experience staff can find you a simple cost effective solution. Props are suitable for a wide range of medium-height false work and shoring requirements and small building support work such as internal demolition. Strongboys support walls whilst lintel beams or RSJs are fitted. Hammered into mortar joint and supported by a prop allowing masonry etc, beneath to be safely removed. The Strongboy unit is solidly fixed to the prop and directly abut wall for extra stability. 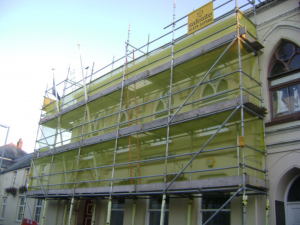 Safesite hire Cuplock scaffolding which is a fully galvanized multi-purpose steel scaffold system for general access and supporting vertical loads. 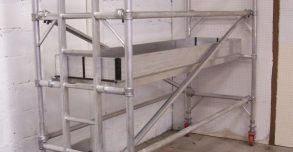 Safesite supply a Universal staircase unit to create fast and easy access within independent staircase towers constructed from standard scaffold tube and fittings. Easy handling and installation. 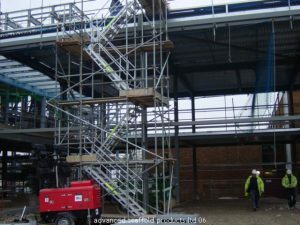 Lightweight scaffold towers are used throughout the building and construction industry for both indoor and outdoor access solutions where a stable and secure platform is required. 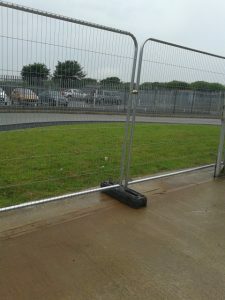 Temporary fencing provides a highly effective visible barrier. 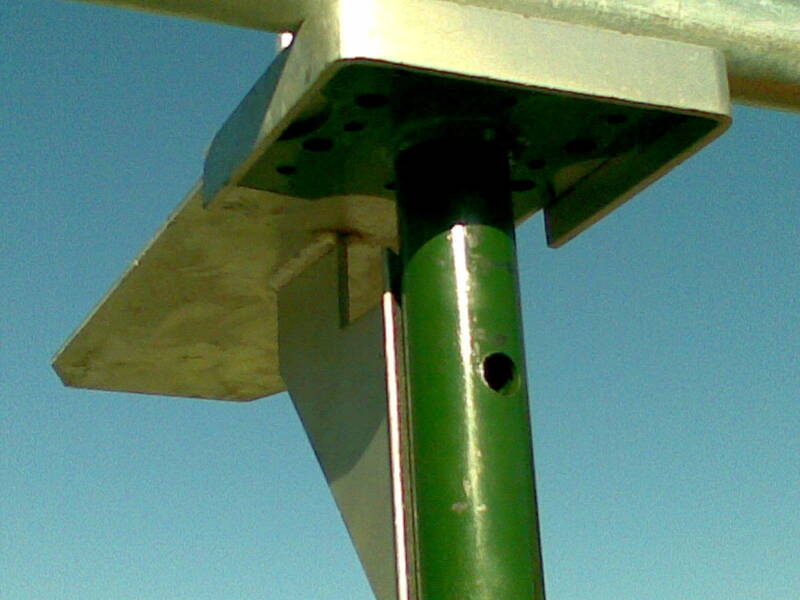 Suitable for preventing entry to construction sites or similar sensitive locations.